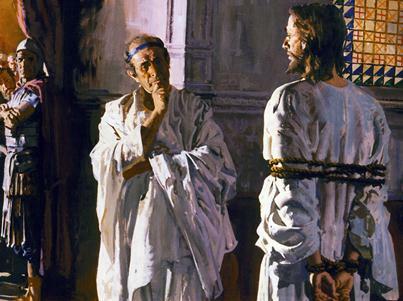 What happened: Only the Roman governor could condemn a man to death, but Pontius Pilate was reluctant to pass sentence on Jesus and sent him to Herod Antipas, who ruled Galilee, Jesus’ home territory. But Jesus would hardly speak to Herod, so in exasperation Herod sent Jesus back to Pilate. When: the working day of a Roman official began as soon as it was daylight, and we know that trials in the forum in Rome began just after sunrise. So it was necessary for the Sanhedrin to bring Jesus to Pilate at this early hour if they wanted sentence to be passed that day – as they did. 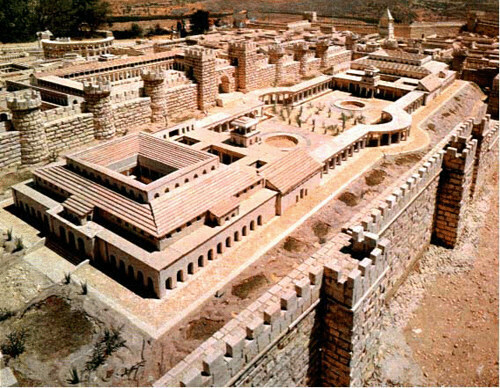 Where: the location of the trial/hearing was the praetorium in Herod’s palace. The official residence of the procurator living in Judea was Caesarea Maritima, the magnificent harbour city on the coast of Israel. But Roman officials like Pilate came to Jerusalem at special times – especially during the great religious festivals, when the city was overcrowded and there was a greater potential for rebellion. When there, they took up quarters in the royal palace built by King Herod the Great, father of the Herod (Herod Antipas) mentioned in this part of the gospel. A section of this palace was the praetorium, the official residence of the Roman governor. 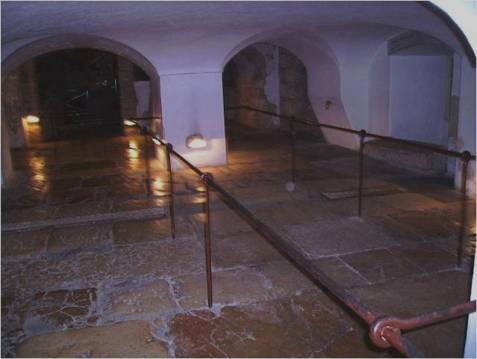 So Jesus was bound and led through Jerusalem from the house of Caiaphas, where he had spent the last part of the night, to the strongly fortified palace of the Herods. It was not a long walk. Houses of wealthy Jewish citizens like Caiaphas lay close to the Roman administrative centre. 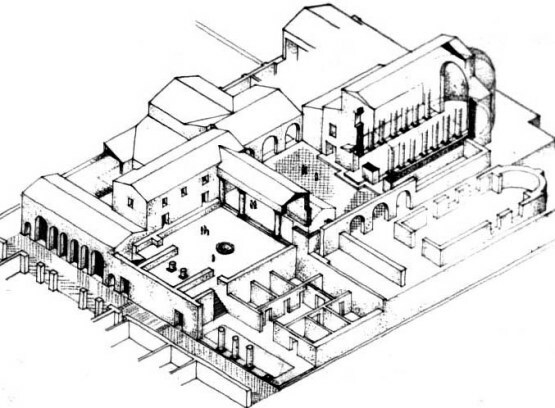 Drawing of the praetorium in the coastal city of Caesarea; the building in Jerusalem was similar. On this particular morning there was a difficulty: the Jewish leaders could not enter the praetorium without becoming ritually unclean, something that would make it impossible for them to conduct the Passover ceremonies in the Temple – defilement lasted seven days. So Pilate came out of the praetorium itself and held the session outside. Who was there: the Sanhedrin were essentially a bench of judges. There was no jury, as in a modern trial. On that particular morning its members moved together to the court of Pilate. They were led by the current High Priest Caiaphas. He had a good relationship with Pilate who had appointed him to the high priesthood, a position he held for ten years – an unusually long period. Why was Jesus taken to Pilate? A fragment of stone excavated at the Roman theatre in Caesarea. 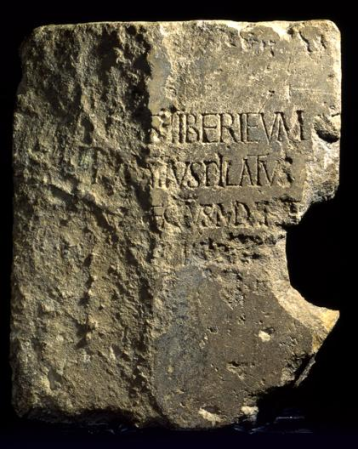 The second line of the inscription clearly shows the name of Pontius Pilate (…IUSPILATUS). Archaeologists date the stone at 26-36AD. The Jewish authorities saw Jesus as extremely dangerous, someone who had to be got rid of as soon as possible. Why exactly they believed this we do not know. It is possible that they saw the event called the Cleansing of the Temple as an incitement to revolt. In any case they decided that Jesus should be put to death, the most obvious charge being blasphemy. But only the Roman governor could order that a sentence of death be carried out. In matters of this kind, the death penalty was meted out by the Roman magistrate as sole representative of the imperial authority – the imperium. Moreover, Pilate may not have been interested in a charge of blasphemy, seeing it as a Jewish matter and not something he cared to be involved in. So Jesus was charged with a different offence: high treason. This was something Pilate could not overlook. While Jesus admitted to being the ‘king of the Jews’, their Messiah, he hardly even tried to parry the accusations brought against him. He remained silent, and the dignity of his silence impressed even Pilate, who was confounded at this man’s apparent reticence. 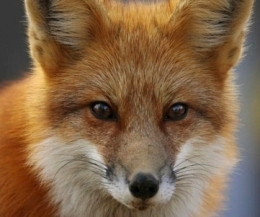 Normally the accused would try to defend himself. 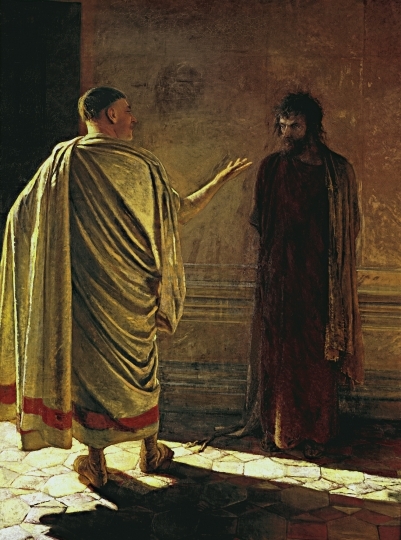 Convinced that Jesus was no threat, Pilate refused to find him guilty. Were there any other reasons for Pilate’s refusal to condemn Jesus? He was well aware of the way in which the leading Jewish families competed for social prominence and influence. So he may have seen this case as an attempt to use Roman authority (him) in a game of Jewish factionalism, at the expense of the near-silent Galilean. He may also have been influenced by the recent fall of Sejanus, the Emperor Tiberius’ virulently anti-Semitic right-hand man. Pilate no longer needed to kow-tow to Sejanus’ prejudices. Pilate was clearly reluctant to pass judgment on Jesus. He did not want the responsibility of convicting an innocent man, so that when he heard that Jesus was a Galilean, he saw a way out of his dilemma. If Jesus was from Galilee then Herod Antipas, as ruler of Galilee, could be roped into this delicate situation. Pilate must have known about Herod Antipas’ longstanding wish to meet Jesus – and that Antipas was in the capital for Passover. Herod may have had a genuine interest in hearing what Jesus has to say. It is impossible to know what Antipas’ motives were for wishing to meet Jesus, since the gospel writers had a genuine bias against Herod Antipas, who had recently executed John the Baptist. Herod may have been interested in Jesus, but Jesus was not interested in performing tricks for this man. Piqued when Jesus would not reply to his questions, Herod joined his soldiers in mocking Jesus, by draping his body with rich clothing suitable for a king – Jesus’ own clothing would be this stage have been torn and bloodied. Then Herod sent him back to Pilate. He was apparently indifferent to Jesus’ fate. Herod was flattered that Pilate chose to include him in the decision-making process, and Luke’s gospel notes with a touch of irony that the two men, previously alienated, were friends from that day. Note: It is Luke who gives us this part of the story, and one wonders how he knew. Perhaps he had a source from within the court, Joanna wife of Herod’s steward Chuza (Luke 8:3), or Manaen, a member of Herod’s court who afterwards became a Christian (Acts 13:1). Many of the early Christians in the first few centuries after Jesus’ death would face a pagan tribunal and be subjected to the same harrying that Jesus faced at his own trial. They could look to these scenes in the gospels, gather their courage, and face whatever came with faith and dignity, as Jesus did. 11 Now Jesus stood before the governor; and the governor asked him, “Are you the King of the Jews?” Jesus said; “You have said so.” 12 But when he was accused by the chief priests and elders, he made no answer. 13 Then Pilate said to him, “Do you not hear how many things they testify against you?” 14 But he gave him no answer, not even to a single charge, so that the governor wondered greatly. 1 And as soon as it was morning the chief priests, with the elders and scribes, and the whole council held a consultation, and they bound Jesus and led him away and delivered him to Pilate. 2 And Pilate asked him, “Are you the King of the Jews?” And he answered him “You have said so.” 3 And the chief priests accused him of many things. 4 And Pilate again asked him, “Have you no answer to make? See how many charges they bring against you.” 5 But Jesus made no further answer, so that Pilate wondered. 6 When Pilate heard this, he asked whether the man was a Galilean. 7 And when he learned that he belonged to Herod’s jurisdiction, he sent him over to Herod, who was himself in Jerusalem at that time. 8 When Herod saw Jesus, he was very glad, for he had long desired to see him, because he had heard about him, and he was hoping to see some sign done by him. 9 So he questioned him at some length, but he made no answer. 10 The chief priests and the scribes stood by, vehemently accusing him. 11 And Herod with his soldiers treated him with contempt and mocked him; then, arraying him in gorgeous apparel, he sent him back to Pilate. 12 And Herod and Pilate became friends with each other that very day, for before this they had been at enmity with each other. 29 So Pilate went out to them and said, “What accusation do you bring against this man?” 30 They answered him, “If this man were not an evildoer, we would not have handed him over.” 31 Pilate said to them, “Take him yourselves and judge him by your own law.” The Jews said to him “it is not lawful for us to put any man to death.” 32 This was to fulfil the word which Jesus had spoken to show by what death he was to die. 33 Pilate entered the praetorium again and called Jesus, and said to him, “Are you the King of the Jews?” 34 Jesus answered, “Do you say this of your own accord, or did others say it to you about me?’ 35 Pilate answered, “Am I a Jew? Your own nation and the chief priests have handed you over to me; what have you done?” 36 Jesus answered, “My kingship is not of this world; if my kingship were of this world, my servants would fight, that I might not be handed over to the Jews, but my kingship is not from the world.” 37 Pilate said to him, “So you are a king?” Jesus answered. “You say that I am a king. For this I was born, and for this I have come into the world, to bear witness to the truth. Every one who is of the truth hears my voice,” 38 Pilate said to him, “What is truth?” After he had said this, he went out to the Jews again, and told them, “I find no crime in him”.